Out of 72 Juvenile Justice Section instructors, three were recognized as instructors of the year in the categories overall achievement, Court Services and Facility Operations on Tuesday, Feb. 28, at a ceremony in Raleigh. “All three instructors have worked so hard to equip Juvenile Justice staff with the training needed to effectively complete their duties,” said Kimberly Quintus, director of juvenile justice policy, training and strategic planning. Instructors were chosen based on how they exemplified teamwork, showed diversity in the subjects taught, numbers of hours taught and positive feedback received. Tracy Stanley, unit administrator at Stonewall Jackson Youth Development Center, was named Juvenile Justice Instructor of the Year. Stanley has worked for the state since 1996, and currently manages 35 staff members at the McWhorter Housing Unit and electronic training records for staff members at Stonewall Jackson YDC. Last year, she taught more than 188 hours for restraints, controls and defensive techniques (RCDT), first aid, model of care and fitness and wellness. Stanley was also instrumental in finalizing the new lesson plan for facility operations RCDT. 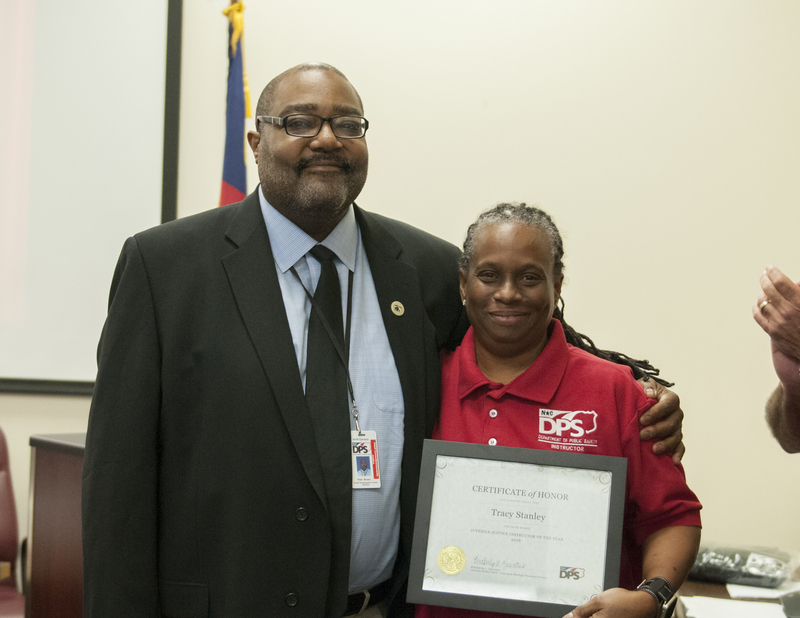 Court Services Instructor of the Year, LaTonya Middleton, court counselor for District 11, began working with the state in 2000 and became a general instructor in 2005. Besides being a court counselor, Middleton has worked both as a correctional officer and probation officer for the Department of Public Safety. Last year, she taught more than 80 hours of in-service training and more than 46 hours in defensive techniques – to name a few. She taught these classes while managing a caseload of 22 juvenile supervision cases in her three-county district. 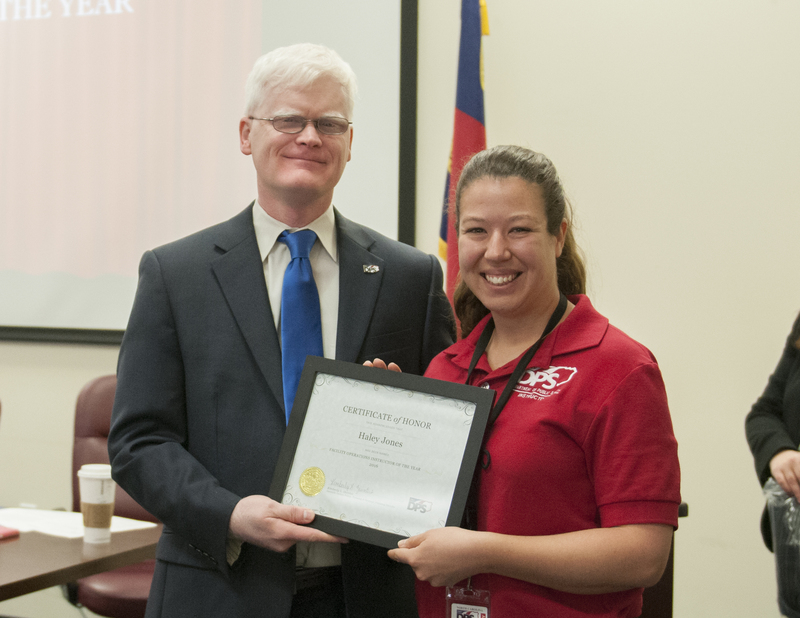 Haley Jones, human services coordinator at New Hanover Juvenile Detention Center, was named Facility Operations Instructor of the Year. Jones, who began her career with DPS as a youth counselor technician in 2008, became a general instructor in 2015 and has since worked to make the in-service training program thrive for Facility Operations staff. Last year, Jones provided 109 hours of active instruction time and was essential to the development of the new RCDT in-service lesson plan. 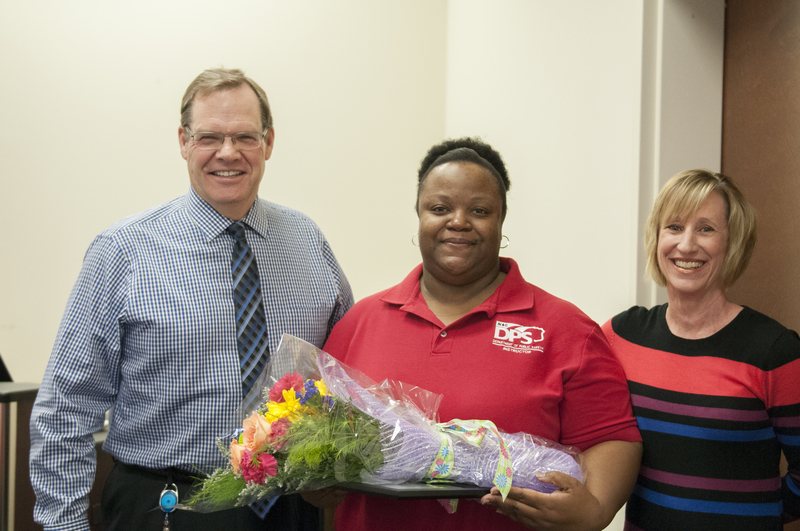 She remained involved with the training program following her promotion to human services coordinator last October.